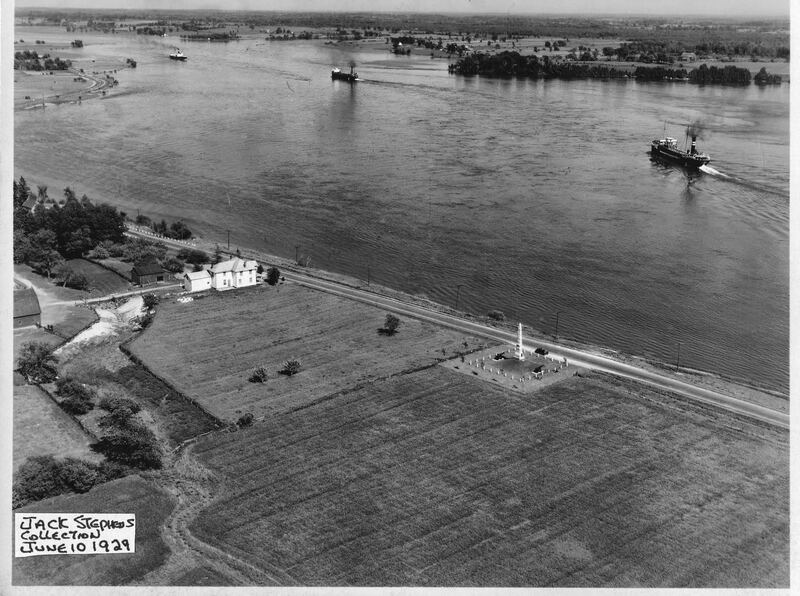 On June the 10th, 1929, pioneer in Canadian Aviation Norman G. Forester took this photograph of the original, pre-Seaway Chrysler’s Farm Memorial from his Fairchild 71 bi-plane, as part of a photographic training mission for the Royal Canadian Air Force. Norman G. Forester passed away on October 4th, 1975 in Edmonton, Alberta. Our thanks to Jack Stephens for making this photograph available to us and others and providing a rare glimpse into our past.